Many things return and evolve after winter and into spring. Carlisle Events car shows are one of those things. Spring also gives an appreciation for our planet and the celebration that is Earth Day. 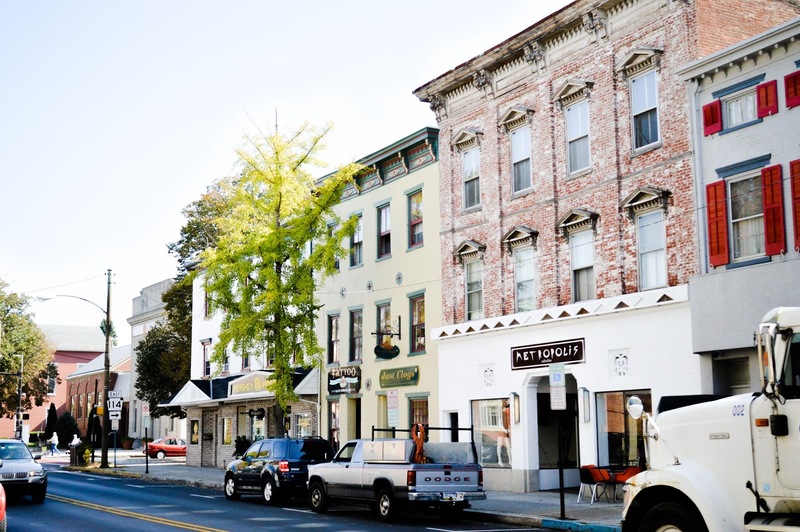 Whether it&apos;s the car shows, festivals, or performances, spring into the Cumberland Valley for a season full of fun! 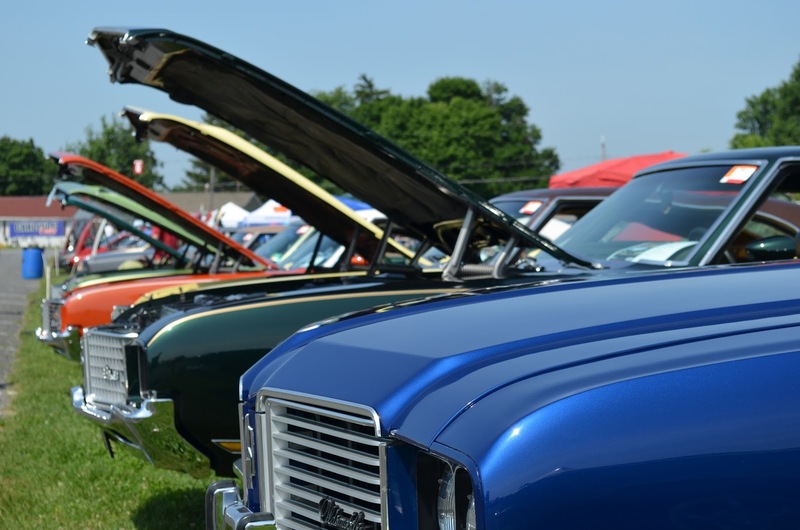 Read more about Spring Carlisle here! Million Dollar Quartet is the high voltage Tony Award-winning Broadway musical, inspired by the phenomenal true story of the famed recording session where Sam Phillips, the "Father of rock &apos;n&apos; roll" brought together icons Elvis Presley, Johnny Cash, Jerry Lee Lewis and Carl Perkins for one unforgettable night. This thrilling musical brings you inside the recording studio for a monumental night of rock and roll that explodes off the stage, featuring 21 timeless hits including "Blue Suede Shoes," "Sixteen Tons." "Great Balls of Fire," "I Walk the Line," "Fever," "Hound Dog" and more. Based on the Oscar-nominated film of the same name, the hit musical, The Full Monty, has a warm heart at the center of all the fun. A group of unemployed steelworkers need to make some quick cash any way they can. They overcome fear, self-consciousness, anxiety, and feelings of worthlessness to become the most unlikely group of exotic dancers. Often, musicals tend to depict a story and characters that are larger than life in surreal situation. But, this show is about "us" - real people in real situations facing real issues forced to decide on the best solutions for them. It&apos;s a beautiful story that challenges the heart. A Show that "strips" down all defenses and demonstrates that family is first. A fun day for the entire family. The festival will feature: local merchants with eco-friendly products (over 50 vendors), fresh food and refreshments, live music on the PSECU Stage, rain barrel silent auction, and hands-on activities for the kids. Join us for a fun-filled day caring for our planet. This event will be held rain or shine. The delightful tale of mischief, mistaken identities and an eccentric doll-maker! When young Franz becomes infatuated at the sight of a beautiful girl who sits by the window in the house of the mysterious inventor Dr. Coppelius, he sets aside his fiancée — the feisty Swanilda who isn&apos;t above disguise and breaking into the old toymaker&apos;s workshop to win back her fiancé! Come see the world-renowned Coppélia — the liveliest, most amusing ballet ever — LIVE on the Whitaker Center stage. Singer. Songwriter. Composer. Pianist. Author. These are just a few of the titles that can be used to describe Neil Sedaka. His impressive sixty year career ranges from being one of the first teen pop sensations of the 50&apos;s, a relevant songwriter for himself and other artists in the 60&apos;s, a superstar in the $70&apos;s, remaining a constant force in writing and performing presently. This is all thanks to the countless songs he has written, performed, and produced that continue to inspire artists and audiences around the world. Sedaka is known for hits such as "Laughter in the Rain," " Oh, Carol," " Breaking Up Is Hard To Do," "Calendar Girl," and many more. 7. Jewel "Picking Up the Pieces Tour"
Jewel has never had a case of writer’s block; if need be, she can write on command. “I’m lucky for that,” the singer-songwriter says with a laugh, playing down the fact that over the past few decades she’s penned hundreds of poignant songs, many of which she’s been performing in concert for over two decades but has chosen not to record. Tickets on sale now to Brad Trackman April 14, 2016 at 7:30pm, at the Shippensburg Comedy Club. Brad Trackman has been seen on Comedy Central, CBS&apos;s The Late Late Show, CBS&apos;s Comics Unleashed, AXS tv&apos;s Gotham Comedy Live, MTV&apos;s The Buried Life, CBS&apos;s Star Search with Arsenio Hall, New Joke City with Robert Klein, NBC&apos;s Later, NBC&apos;s Friday Night and his own commercial campaign on Spike tv. Internationally, he&apos;s made numerous national late night television appearances in Canada on The Mike Bullard Show and in Holland on Raymaan is Laat and The Comedy Factory. The Central Pennsylvania Conservancy and the Susquehanna Appalachian Trail Club invite you to participate in the 7th Annual Ironmaster&apos;s Challenge. Choose from a 50k Ultra or a 15k Trek designed to test hikers and trail runners of all experience levels. Both routes traverse rustic trails ranging from single track to jeep roads through the beautiful woodlands of Pine Grove Furnace State Park and surrounding Michaux State Forest. There are numerous scenic spots and vistas throughout the course. Each course is wheel-measured and each event is professionally timed by Pretzel City Sports for instant results. Radio communications, staffed food and water checkpoints, and additional water stations are provided. 10. I Love You, You&apos;re Perfect, Now Change!